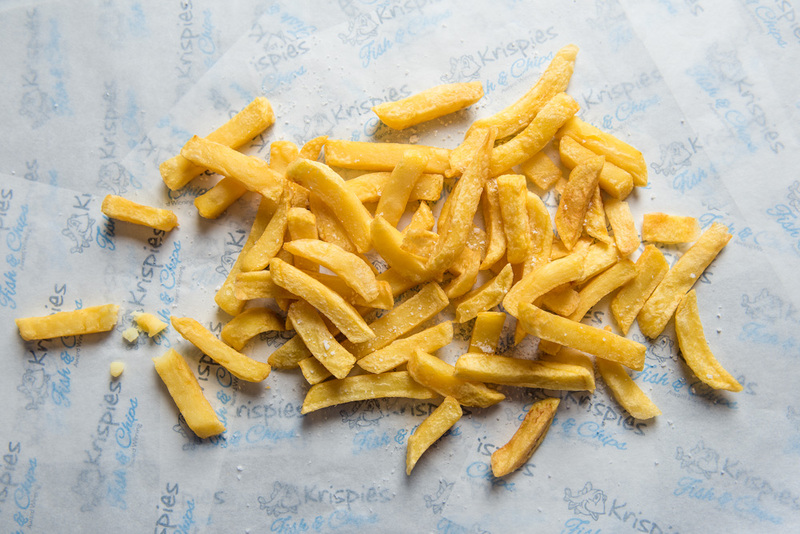 Whether it is our MSC Certified fish, our bespoke batter, our potatoes, burgers or buns all the food we serve at Krispies has been carefully selected and sourced so we only use what we believe are the best products. Where possible we also use local producers and suppliers. To say we are fussy about our fish at Krispies is an understatement. Everything we buy and serve has to be the very best quality. Most of our fish comes from the Barent Sea. It is frozen at sea within hours of being caught ensuring the fish is as fresh when we cook it, as it was on the day it was caught. All our frozen at sea fish is MSC Certified which guarantees it comes from sustainable fish stocks. We only use British potatoes of the highest quality which are often grown in the potato-friendly soil of Cambridgeshire. Our award winning chips are freshly cut and prepared each day in our kitchen on site. Our ideal chip should be crispy on the outside with a light fluffy centre. Krispies batter is unique and created especially for us by Ceres. We worked closely with their talented team, to create a batter which is made of only the finest British wheat and 100% natural ingredients. 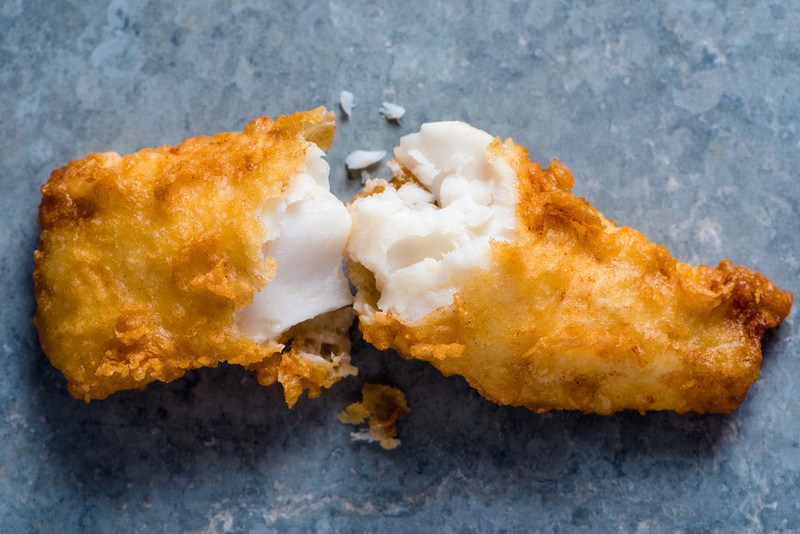 Formulated not just for our fish but for our famous battered chips, you can be sure you won’t taste anything like Krispies batter anywhere else. Our excellent burgers come from independent, family run butchers, Porky Down and are made right here in Exmouth. Our Pukka Pies are made by an independent, family company which are based in Leicestershire. All our salad is from Dart Fresh Produce just up the road in Topsham. If they can’t grow it themselves they do everything they can to source their product as locally as possible and the peas we use these to make our mushy peas and mushy pea fritters right here on the premises are from East Anglia. Even our cheese is specially selected and comes from Wykes Farm in Somerset which is a family farm who have been making award winning cheese to a secret family recipe for generations. Everyone loves a party and everyone loves Fish and Chips, so why not combine the two? Krispies outside catering service will bring our freshly cooked, award winning, Fish and Chips directly to you. Be it an anniversary, a birthday, a wedding or even a corporate event, if you want to celebrate in style, with something truly unique then look no further than Krispies Catering – we can add the wow factor to your celebration that people will have everyone talking about it!